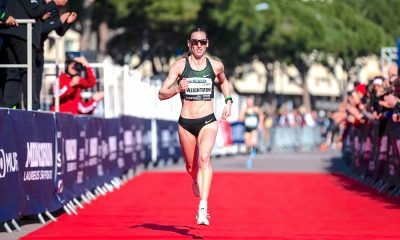 British runners impressed in Germany and France, while the under-20 and under-23 athletes were in action at the England Athletics Championships. Taking place over two day’s (June 16-17), the England Athletics U20/23 Championships welcomed the best British young talent to Bedford. Jake Heyward won his third straight U20 men’s 1500m title with a commanding performance. The European U20 1500m champion won comfortably in 3:54.07 and booked his place on the British team for the World Junior Championships in Tampere next month. The U20 women’s 1500m was won by Francesca Brint in 4:29.40, while Amelia Quirk, who finished third, wasn’t deterred, and a few hours later won the U20 women’s 3000m in 9:22.54. James Vincent won the men’s gold in 9:11.9. In the men’s U23 1500m Jamie Williamson won in 3:45.90. Megan Davies clinching U23 women’s gold ahead of Lucy Robinson in 4:24.53. 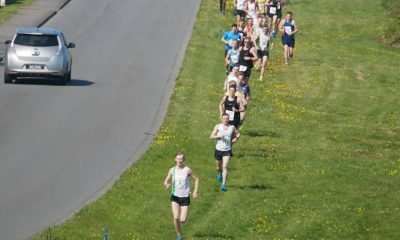 Emily Moyes won the U23 women’s 5000m in 16:30.99, while Emile Cairess won the men’s event in 14:20.77. In the U20 women’s steeplechase, Alexandra Barbour took the honours in 10.56.80, while Dani Chatterton won the U23 women’s gold in 10:52.22. Alfred Yasbsley enjoyed two second win in men’s U20 steeplechase crossing the line in 9:29.19. In the U23 event, Mark Pearce won gold in 9:04.64. At the European Athletics Classic Meeting in Marseille, France on Saturday (June 16), Charlie Da’Vall Grice won the men’s 1500m in 3:36.48, with Jake Wightman a close third in 3:37.04. Steph Twell finished fourth in the 5000m clocking 15:38.68, while Shelayna Oskan-Clarke clocked 2:02.87 for fifth in the women’s 800m. In the men’s 800m race, Andrew Osagie was second in 1:45.79 with Elliot Giles fourth in a time of 1:46.78. In Tübingen, Germany at the Internationales Soundtrack-Meeting, steeplechaser Rosie Clarke done without the barriers and ran a big personal best of 4:07.69 to finish seventh in the women’s 1500m. Katie Snowdon and Hannah England finished 12th and 14th respectively, while Ireland’s Ciara Mageean was fourth in 4:06.70. Irish 17 year-old Sarah Healy finished 11th smashing her own Irish U18 record with a 4:09.25 run that moves her to number two on the European U18 all-time rankings. You can read more about the Healy’s performance here. Robbie Fitzgibbon finished fifth in the men’s 1500m race clocking a season’s best 3:39.37, while Andrew Smith clocked a personal best 3:42.15. In the women’s 800m Adelle Tracey ran a season’s best 2:00.46 to finish second and achieved the standard for the European Championships. 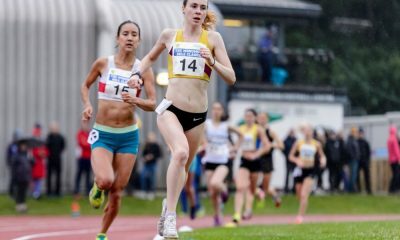 On Wednesday (June 13) at the BMC Gold Standard Races in Watford, Katie Snowden ran season’s of 2.03.42 to win the women’s 800m race, while Spencer Thomas won the men’s race in 1:48.69. Charlotte Taylor-Green clocked a personal best 4:16.88 to win the women’s 1500m ahead of Jade Williams in a season’s best 4:17.28. Kieran Wood won the men’s race in 3:44.19 ahead of Philip Sesemann and Jonathan Hay. 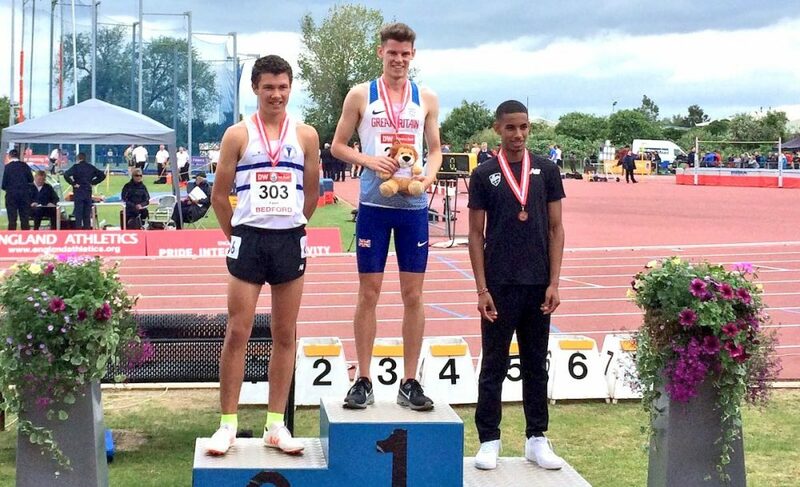 On Tuesday (June 12) at the Trafford BMC Gold Standard Races / Trafford AC Grand Prix Open, Emile Cairess won the men’s 1500m in a personal best 3:45.21. In the same race, Kane Elliott smashed the Scottish U17 record running a time of 3:46.84. Marathon runner Jonny Mellor made a return to the track and won the men’s 3000m race in 8:04.39 ahead of Tom Lancashire and Charlie Hulson. 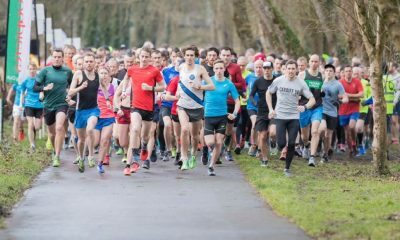 Meanwhile, on the roads this weekend, Luke Traynor ran the third fastest ever 10k by a Scot, the first Summer Speedway 10k produced fast times as did races in Eastleigh, Freckleton, Richmond, Barrowford and Guernsey. A report on recent road racing can be found here.